Movem: where are they now? 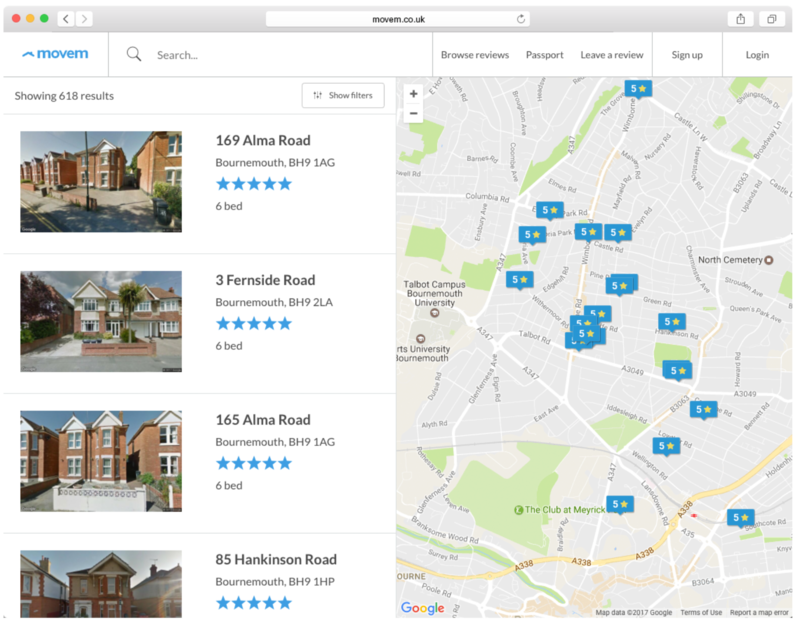 Movem, an online property rental company where tenants can discover, review and compare rental properties, raised £200,000 with the support of 107 investors nearly a year ago. Here, we catch up with founder Peter Ramsey to see how the company has put those funds to use. Can you tell us a bit about Movem? Movem is a review-focused property portal, where tenants can rate their rental experiences. Our growing community is built on trust, transparency and the idea that the best tenants, landlords and agencies will connect via reviews. Tenants can also create an online rental profile, and receive recommendations of their own. Our mission is to improve the way people rent property, all over the world, and late in 2016 we crowdfunded £200,000 to take a giant leap in that direction. So what’s new with Movem? Well, the big news is that in May we launched our new site! It’s so much better than our previous one, and we’re all really proud of it. If you haven’t, go check it out now at www.movem.co.uk. We’ve also started developing some really cool IP, and this year we’re going to release some stuff that’ll blow your socks off. We’ve been so product-driven, and are trying to make the closest thing to the ‘perfect rental experience’ possible. You had a small team when you raised finance, has your team grown? Yeah, we’ve made a few key hires. We previously outsourced all of our development to a young company that I went to university with, but this time round I wanted everything done in-house. That’s primarily been what the raise was for - to hire the kind of people that can actually deliver a game-changing experience. Why did you choose crowdfunding (and Crowdcube) over other routes of financing? Crowdfunding is like being a musician and having your first gig at Wembley Stadium. You stand up in front of loads of people, all at once, and if you’re rubbish you’ll never be heard of again. But, if you have your pitch right, and they like your music, you’re catapulted onto the radio. Crowdfunding isn’t for everyone, but a platform like ours thrives on engagement, and so it was a perfect fit. I’m sure you’ve heard before about the benefits of ‘an active crowd’ and having ‘ambassadors’, but I actually found an unexpected benefit. Crowdfunding made me really focus on product and our pitch. Going back to my Wembley example, it’s like knowing you’re about to get on stage, and you’re frantically going over your sheet music again and again. 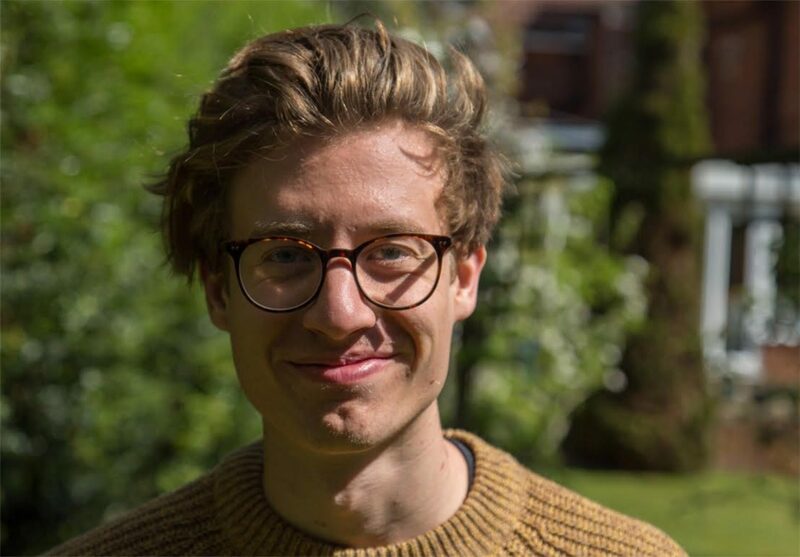 The pressure of crowdfunding makes you approach old areas of your business in new ways, and I found in the end that I had a much clearer idea of what Movem should be. Do you have any hints or tips for digital platforms looking to raise finance? My advice in general when it comes to crowdfunding is to prepare properly. Start a ‘pre-register’ list, and get people interested before the pitch goes live. Then when it is live, you have to literally make it your only task. Forget everything else, because crowdfunding requires lots of introductions, phone calls, emails and determination. Looking back I barely slept during the crowdfunding process. It was brutal, so be ready for it. I had a huge list of ‘people to email/call/shout at’, and I just worked through it every day. You yourself were tipped as one of the young entrepreneurs to watch by Start-ups, how did you establish a business at such a young age and do you have any advice for young founders? I think starting a company requires a certain mindset. You need to be prepared to fail, openly foolish and really committed to something. It doesn’t matter if you’re passionate about frogs, sharing music or building sand castles - as long as you’re obsessed by it. This doesn’t happen much at a young age. Most people don’t really know what they want to do and take a bit of time to figure it out. My advice to young founders would be to just try and learn as much as possible. I hated university, but I was always reading, asking questions and trying to work out how things worked. Stay curious and if you see an opportunity just go for it. Also, my friend and mentor, Sam Howell, had to keep reminding me “just because they’re older and have more experience, it doesn’t make them right”. I honestly thought that the people at the top of the ladder ‘must be right’. Well, they’re not. 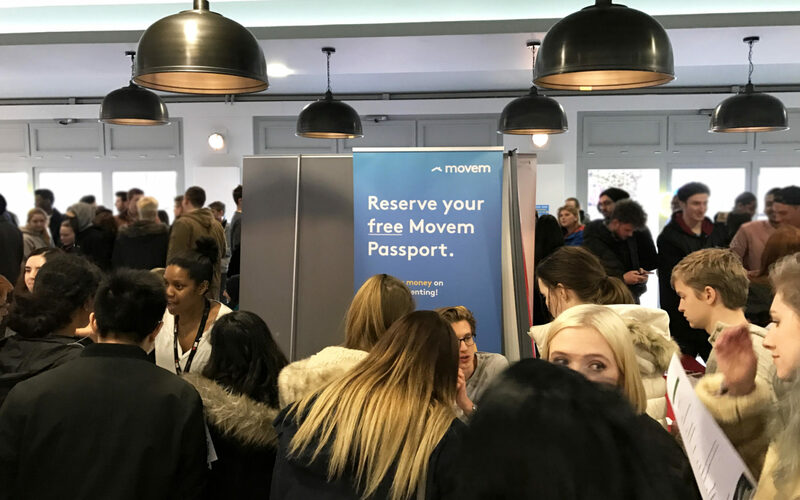 We’ve got Movem Passport in private beta at the moment, and we’re hoping to ship that publicly sometime in the next few months. It’s difficult to say exactly because we’re constantly going out to our users and learning how to improve it. We’re also about to go through the process of raising a Seed B round, which will allow us to spend heavily on marketing and acquire more users. We may even do some further crowdfunding. The next 12 months are going to be a really heavy growth period in the company, and we’re just making sure we’re ready for it. To follow Movem’s progress or get in touch with the team to find out more, you can check out their website here.